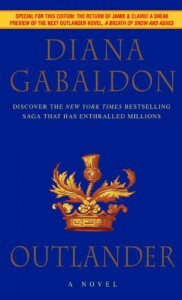 I don't read many books that would be classified as 'romance,' but I did really enjoy Outlander. I've read the first five books of the series and numbers five and six are waiting on my shelf to be read. Historical fiction plus time travel equals a winner in my book, and the romance between Claire and Jamie added a nice element to the story.